Join us on May 2, 2019 for the 11th annual Teaching and Learning Conference. Learn with instructors as they share their research, teaching strategies, and much more in interactive workshops, panel discussions, and presentations. The annual University of Waterloo Teaching and Learning Conference is organized by the Centre for Teaching Excellence. 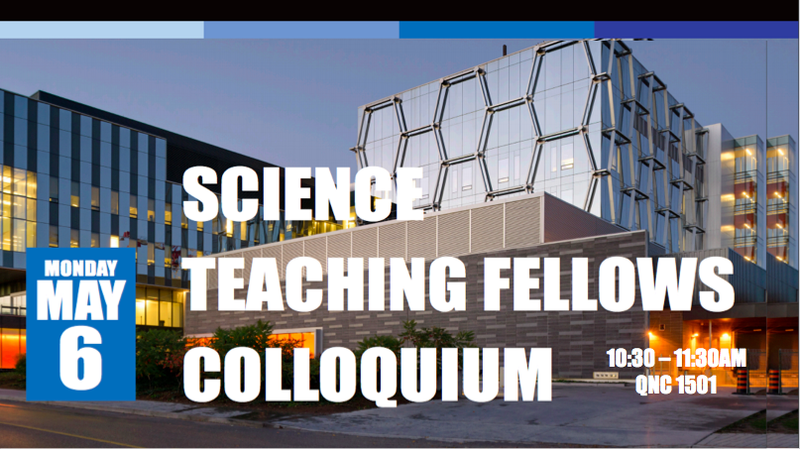 Guelph-Waterloo Centre for Graduate Work in Chemistry and Biochemistry would like to invite (GWC)2faculty, postdoctoral fellows and graduate students to our 2019 Annual Meeting featuring a seminar, awards presentation, and poster sesssion. Please come out and join us for some or all of these events. Coffee will be served at 2:30 pm prior to the seminar. All interested persons are welcome to attend.